An-Najah National University: Educating for a Palestinian Future, Transmitting Palestinian Heritage. An-Najah National University is a vibrant hub of learning which nourishes science, knowledge and understanding. An-Najah offers undergraduate instruction in the fields of Medicine, Engineering, Humanities, Social Sciences and the Natural Sciences, as well as numerous courses of graduate study in the humanities and the social sciences. Since it was chartered as a full-fledged university in 1977, An-Najah has promoted the acquisition of modern knowledge whilst remaining committed to the transmission and preservation of Palestinian history, heritage and culture. Today, as the largest University in Palestine, An-Najah educates over 22,000 students and is home to 13 faculties, offering numerous undergraduate and graduate specialisations. 1918: An-Najah was established as a primary school- An-Najah Nabulsi School- educating students from Palestine and abroad. 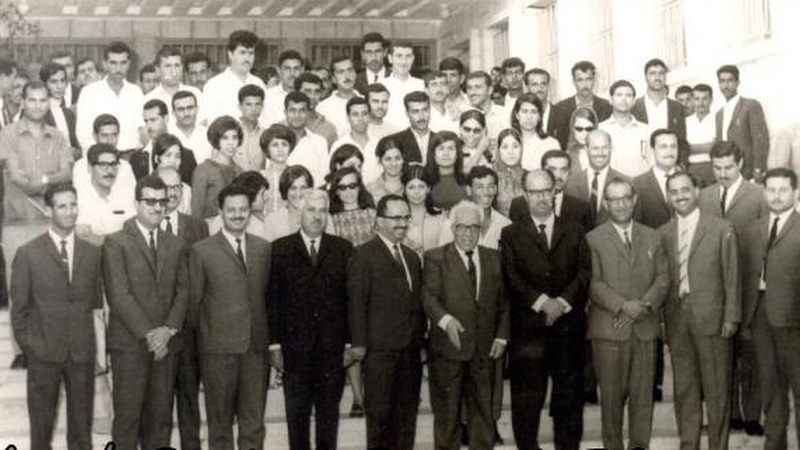 1965: An-Najah became a teacher preparation institute, also granting intermediate university degrees in various fields of study. 1977: An-Najah evolved into a full-fledged university, “An-Najah National University,” with a Faculty of Arts and a Faculty of Sciences. It joined the Association of Arab Universities (AARU) as a full member. 1978: The faculties of Economics, Administrative Sciences, Educational Sciences and Engineering were inaugurated. 1981: The first Master Degree Program was established in curricula management at the Faculty of Educational Sciences. An-Najah was accepted as a member in the World Union of Universities. 1985: The University expanded the scope of higher studies to include new fields, including Chemistry, Islamic Studies and Education. 1994: The Faculty of Pharmacy was established; new faculties and specialized scientific centers were introduced, including the Academic Program for the Study of Involuntary Migration (APSIM); the Water and Environmental Studies Institute; the Center for Studies, Consultation and Technical Services; and the Business and Technology Incubator. 1995: The Faculty of Law was established. 1997: The University signed an agreement with the Director-General of the UNESCO to establish the UNESCO Chair on Human Rights and Democracy. In the same year, the University launched the Arabic for Non-Native Speakers Program. 1998: The Board of Trustees decided to establish the Center for Urban and Regional Planning (CURP). 1999: The Faculty of Medicine was established in cooperation with Al-Quds and Al-Azhar Universities. In the same year, the Community Service Center was also established, serving the local community. 2000: On June 25, 2000, the late Yasser Arafat laid the foundation stone for Munib Masri’s College for Engineering and Technology at the New Campus. In the same year, the Faculty of Veterinary Medicine and a number of scientific majors, including Computer Engineering, Statistics, and Economy and Agricultural Development, were established. 2001: The University established the Faculty of Information Technology. Construction of the Hisham Hijjawi College of Technology was completed and the College welcomed its first students in October. 2003: The University launched the “Voice of An-Najah” radio station helping to strengthen ties with the local community and to provide reliable information. The Opinion Polls and Survey Studies Center, the Continuing Education Center (CEC) and the Measurement and Evaluation Center (MEC) were also established with the aim of enhancing scientific research. 2004: The Faculty of Optometry and the Faculty of Nursing were established. The University established Al-Qasem Palace in Beit Wazan to serve as a Center for Urban and Regional Planning. The University established the Faculty of Honors and a Unit for Architectural Conservation and Reconstruction. The University launched the An-Najah Award for Scientific Research in the field of science and humanities. The University established two new scientific masters programs: Animal Husbandry and Clean Energy and Consumption Rationalization. The Institute of Forensic Medicine was established as a branch of the Faculty of Medicine. The An-Najah Alumni Association was established. His Excellency, Mahmoud Abbas, President of the Palestinian National Authority inaugurated the University’s New Campus in a ceremony that honored the University’s first students. President Abbas was presented with an Honorary Doctorate in Law. The University was awarded the Hisham Adib Hijjawi Award in Energy and Industry for the ninth time. The Computer Lab for the Visually-Impaired. The Prosthetics Clinic on the Old Campus. The Korean-Palestinian IT Institute of Excellence. The Eye Clinic of the Faculty of Optometry. The Faculty of Medicine was accredited as an independent faculty by the Palestinian Ministry of Education and Higher Education. The University acquired the hospitals of Al-Zakat Committee in Nablus. The hospital buildings will be developed into a teaching hospital for students of medicine and nursing; the hospital will serve the entire northern West Bank region in cooperation with the Palestinian Ministry of Health. The University’s mosque was inaugurated in August 2008. The University’s Sports Complex was inaugurated at the New Campus in November 2008. Inauguration of the Interior Design & TV Decoration Centre. Since its establishment, An-Najah has been on a continuous path of development, striving to offer the best educational experience for its students. As new academic majors such as agricultural sciences, medical analyses and fine arts were introduced, student enrollment increased. Additionally, further development of University facilities and equipment included improvements in the University's academic, administrative, and human resources departments, as well as enlargement of its library holdings and enhancement of its laboratory equipment.